The ‘apply.cgi’ file was vulnerable to Open Redirection and XSS. Inside the router many other cgi files too use this functionality in ‘apply.cgi’. For example the ‘ping_response.cgi’ file. 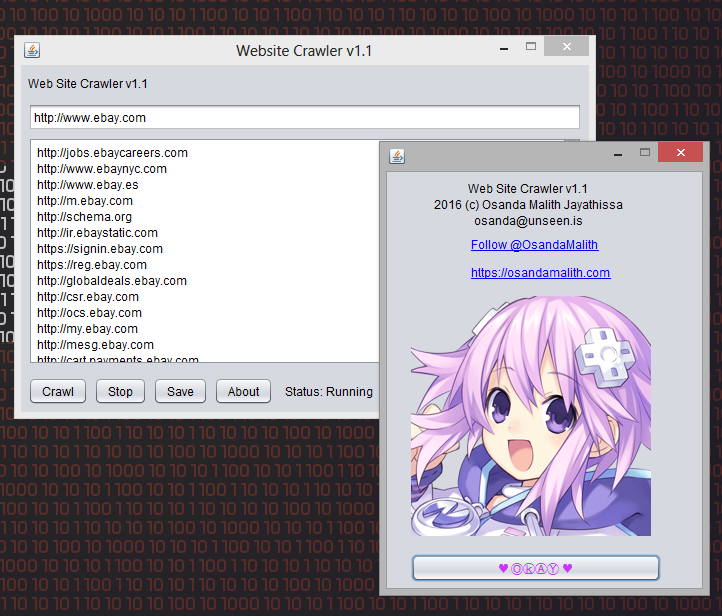 This is very simple web crawler I coded for fun. It uses a breadth first search algorithm in crawling urls. IE and Edge both uses a default XSS filter which is not powerful like the XSSAuditor(Webkit/Blink). This is how the XSS filter is implemented. Thank you very much for more than 100 likes !